Replacement:TOL-12065 & TOL-12066. 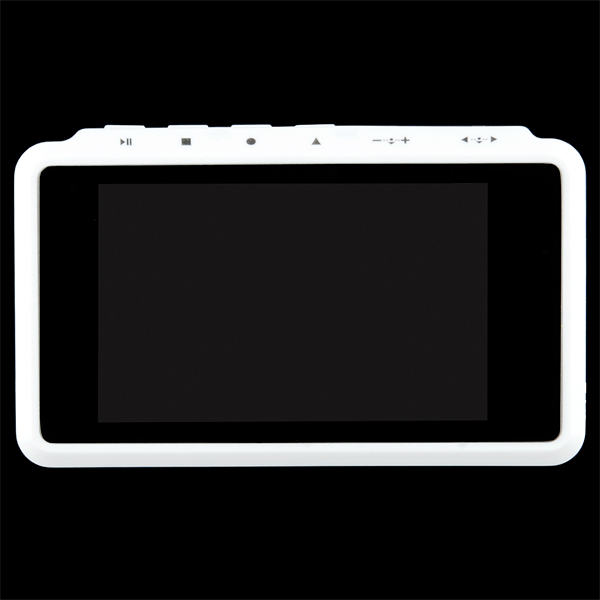 We are now carrying the new versions of the DSO Quad, go check them out! This page is for reference only. 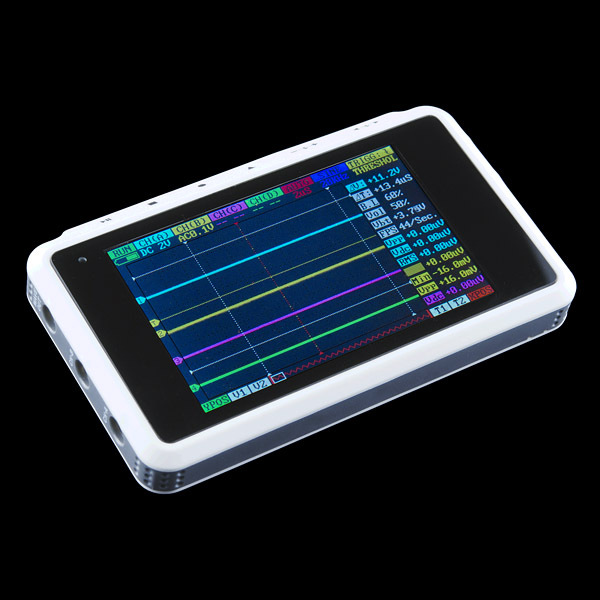 The DSO Quad is an open-source pocket-sized 4-channel digital oscilloscope. It's based on the ARM cortex M3 32-bit platform, providing 72MS/s sampling rate with integrated FPGA and high speed ADC. The Internal 2MB memory can even store waveforms in various formats which you can transfer to your computer using a mini-USB cable. Note: Check the link below for the most up-to-date firmware. My Hardware id: 2.6 , SYS: 1.51 , APP: 2.52 . I'm just a beginner and, for me, this little scope is a terrific bit of technology for a reasonable price. The interface is sometimes maddening and the refresh times can be a bit frustrating, but for my purposes it does the job. (NOTE: I haven't yet upgraded to the very latest firmware, so the refresh issue might be fixed.) I'm also happy with the small size of the scope. You can take it anywhere. Unfortunately, this device is far from meeting its specs: you get a 2-3 MHz bandwidth max, with a far from flat bandpass. The guy in the adjacent office has one of these (he's EE) as he couldn't resist. It's a bit underwhelming for the money. The bandwidth limitation is severe. Now, the good news is the sample rate is legit on the digital pins. But there are only two of those. PropScope has slightly lesser specs than the Quad, but is also a pretty decent offering with 4 logic channels. But for me, the 25Msps of the PropScope is a deal breaker. Joe... the QA100 looks awesome, thanks for the link! 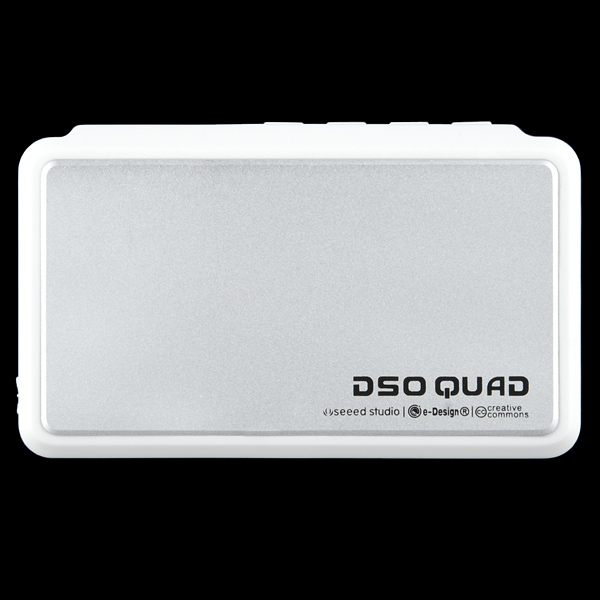 I have been tempted by the DSO quad, but it just seems to good to be true. I regularly need to measure analogue signals of about 4MHz, and am doubtful that the DSO could manage that... so my only question is do you really get 25MHz bandwidth? If so this seems to be the perfect scope for me. The only thing that's slightly disappointing is the windows only software! Thanks! Hi, sorry to point it out like that, but it seems quite expensive compared to some other prices on the internet, now I love SparkFun, and I know you always try to keep margin at a minimum, so I think I may be missing some extras you add in the package compared to the regular ones we can find ? 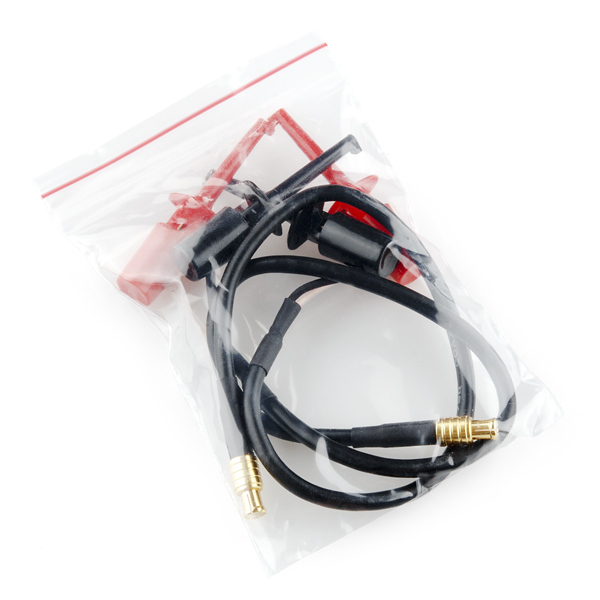 Are there any plans to stock x10 mcx o-scope probes for the quad at sparkfun? if not are there any places besides seeed studio to get them? It's kind of misleading saying "Two 72MS/s analog channels ..." without mentioning what the analog bandwidth is. With 72M sampling rate people could reasonably expect analog bandwidth to be 10MHz or higher but the device was reported has only 2 - 3 MHz analog bandwidth. Same thing for the digital channels. High sampling rate does not guarrantee effective waveform viewing without adaquate analog bandwidth. How is sampling aliasing handled? Is there a pre-filter? Is there a sample-and-hold feature? I would very much like to get my hands on a 2.5MHz version of this. Does anybody know what the analog bandwidth is? My primary usage would be for high resolution analog video color signals and sync. 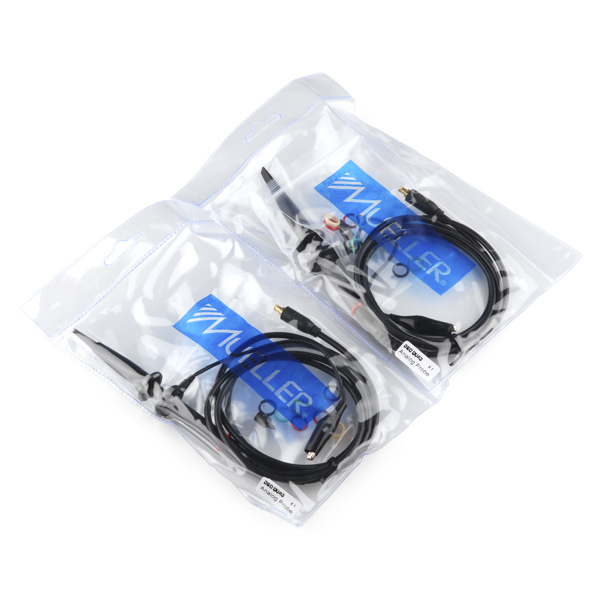 Any chance you would offer spare probes separately (digital and analog)? Note: The order may matter. Here's the order I used: sys_141, then app_245(b), then FPGA_25 (those were the latest at the time of this writing.) If later firmware are there, just use the latest, but you probably want to do SYS before APP. Also read the "Quick guide of upgrading firmware" that's listed above the chart. It is helpful. You have to copy the FPGA files in a certain order when you upgrade that. Also note that while booting the new firmware, a red warning may flash momentarily on the screen saying something about invalid parameter loading. This just means that the settings saved file from the old firmware is incompatible with the new firmware and that your settings are lost, so just click the O save button and it'll overwrite your old file and the error will go away. Hello Jesse! now that you have had this item for a few months, is it still something you would purchase again? on a side note: are you the Jesse Gordon i know from the NW area of the lower 48 states? If so, this is mike from agsense in huron sd - either way, glad to see ya on here and get to read your comments on this item. thanks!! Hey Mike -- yup same Jesse Gordon! How are you? As to purchasing this device again -- I'm not sure. It's a really neat idea. And the hardware is extremely capable. However, at the time I got it, the firmware had some serious issues that limited its usability. 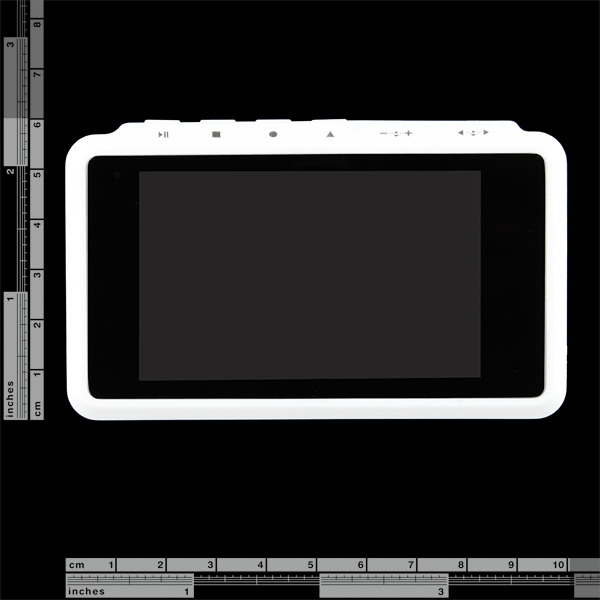 One was that it's got a nice long capture buffer that holds 10 or 20 screens full or whatever. Very nice - but in the version of firmware I have, it insists on filling the buffer every time before showing the waveform -- which means your screen refresh rate is 20 seconds when it should be 1-second (for example, if you're viewing one second of audio per screenfull, it takes 20 seconds to update.) The other problem I remember is that it would wrap around in the buffer and show on the screen the overlap as if it was the trace you wanted, which could look just like a glitch. I really haven't used it in a long time, but just now I used it to debug some 19200Kbit/sec RS232 and it worked great -- which prompted me to check for new firmware -- and I see that there is new firmware, so maybe they fixed some of these problems! I'll try to upgrade my firmware soon and report back on how it works. I received mine from Sparkfun, and the DSO package had been opened, the black Seeedstudio tape was broken, and it had obviously been used, and the cardboard insert in the box was mangled. Now I'm not sure if I can trust it, or if it works properly. I don't have a lot of input sources to use to check the o-scope on. Yeah, mine arrived today and it too seems to have been opened. The clear plastic screen protector had been peeled off and stuck back on wrinkled. Sparkfun, do you know about that? Probably routine quality control checks. Firmware does seem a little buggy, specifically the really slow update at low sample rates -- but that's probably because it's filling its 4096 byte sample buffer -- and then displaying about a tenth of it. For example, at 100mS/div and 10 divisions, it should update once a second.. But no, it records for around 13 seconds I suppose, capturing 13 times the needed data, before displaying any of it. It'd be good to be able to set the buffer size. What sort of trouble am I likely to get in if I upgrade to Benf firmware? (If it exists for the quad?) Will I be able to go back, and am I likely to brick it? Do some quick checking out on the unit. If it works correctly, you are of course welcome to use it (as long as there's no damage to the unit). If something is wrong or it looks used, or if you just want a different one, contact cservice@sparkfun.com. As far as I can tell, it's working properly, but I don't have a lot to check it against. The loopback from the signal generator seems o.k. It's a little scary to buy a rather delicate peice of equipment like this and find it's a return. I'll hang on to this one, unless I find a provable problem with it. I just wanted to make you aware of it, and maybe you can double check returns like of test equipment or put them in scratch and dent. We don't sell returns typically, they go back to the manufacturer. You probably got one that was just inspected. This is a 2 Channel DSO with a 2 Channel logic analyser. Calling it 4 Channel is really disingenuous. Can someone with a working knowledge of the Quad comment on whether it has the ability to signal average based upon an external trigger? What about acquisition of a persistence spectrum? Mueller MCX Osilloscope Probes x1 and x10? Twice x1 and two (very short) digital probes. Seeed Studio has a MCX to BNC adapter if you already have x10 probes and a MCX probe switchable between x1 and x10. You can get almost the same adapter from amazon.com, it says it's a garmin antenna adapter, just search on "mcx bnc adapter" I think two were about $25 with shipping and I had them in about three days, not the 30+ it takes a seeedstudio order to come in. Does this have a microSD card slot on it? I see that a microSD card is listed in the related products below, but I've not seen anything that confirms that it has a slot for one. It has no (micro)SD slot - only the 2 MB internal storage accessible via USB. I think the microSD is related because the NANO V2 uses one. The quad has 2MB internal storage but doesn't seem to have microSD function. Just something to keep in mind if you plan on using this to troubleshoot high speed uC projects or any other 25Mhz+ signaling application. Other than its low(ish) sample rate, its actually a very neat looking scope and would free up a huge amount of space on my desk. When they can get the SSR bandwidth over 20Mhz then I can see this becoming THE entry level scope to have. According to the seeed studio blog entry, you can configure to single channel to have a max of 144Ms/S. I was wondering how this would affect the max frequency? It is a nice scope. Having handled it for the video and such, it's a cool piece. I can't attest to it's abilities as a scope, but aesthetically and design-wise, it's quite decent. @JCarrier, according to seeedstudio the max input voltage is 80 Vpp. You're welcome. Yeah, I'm quite thrilled, too. Not sure, if I should start with a Nano V2 or this guy here. Really cool. Does anyone know what the maximum rated input voltage the device can handle for both the analog and digital channels? Is this mainly geared for TTL/CMOS logic probing and other low voltage circuitry? Okay. Somebody give me $500 now. 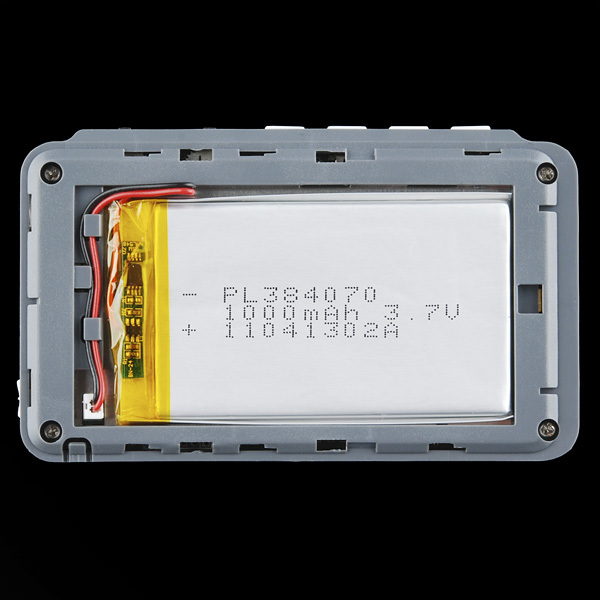 From the battery-in-case picture, glad to see it looks like you received a batch with the battery connector oriented the correct way - red wire closest to the outer edge. I got one of the earlier Quads (direct from Seeed Studio) with the connector mounted the wrong way around and it did Unpleasant Things to my USB port when I attempted to charge it.